Whenever we come to the field of bionics, science and technological advancements have proven the dictum ‘small is better’. 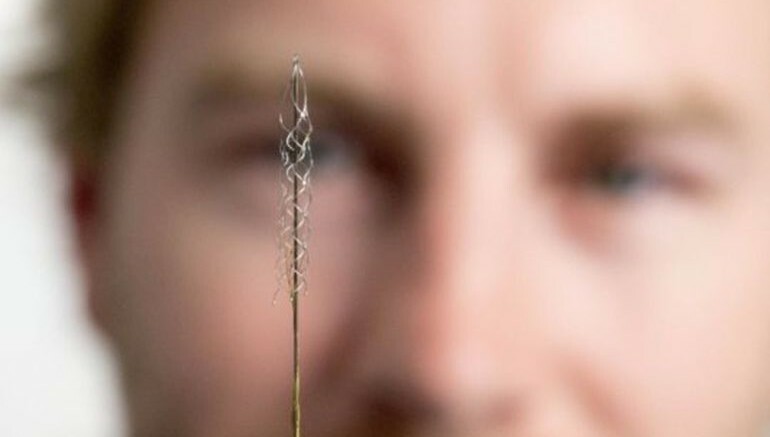 Going along those lines, a group of Australian researchers have contrived an implantable device which has a size of a tiny paper-clip. But beyond its diminutive dimensions, the contrivance for all intents-and-purposes is a ‘bionic spinal cord’ that can be incorporated in a proximate area (blood vessel) next to the brain’s motor cortex. So simply put, the tiny device has the incredible ability to actually record high-quality signals emitted from the brain and then transmit them to any exoskeleton or bionic limb. And since the contraption is non-invasive, the entire process totally avoids the need for open brain surgery. We have been able to create the world’s only minimally invasive device that is implanted into a blood vessel in the brain via a simple day procedure, avoiding the need for high risk open brain surgery. Our vision, through this device, is to return function and mobility to patients with complete paralysis by recording brain activity and converting the acquired signals into electrical commands, which in turn would lead to movement of the limbs through a mobility assist device like an exoskeleton. In essence this a bionic spinal cord. As for the technological scope of the research, the core working ambit pertains to electrical interaction with tissue, with the aid of sensors that are incorporated into a vein (inside brain). Otherwise known as the stent technology, the device works by expanding its arranged electrode to press upon the internal wall of the vein. This allows for the recording of the localized brain activity, which in turn is used as ‘commands’ for controlling external components, ranging from exoskeletons, prosthetic limbs to even wheelchairs. In other words, the technology has the capacity to endow direct thought control over external machines, as opposed to current exoskeleton applications that are regulated by manual joysticks. Through our pre-clinical study we were able to successfully record brain activity over many months. The quality of recording improved as the device was incorporated into tissue. 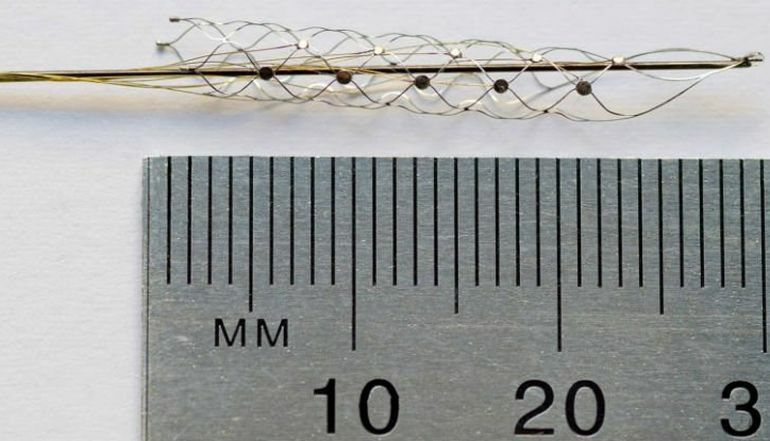 Our study also showed that it was safe and effective to implant the device via angiography, which is minimally invasive compared with the high risks associated with open brain surgery. The brain-computer interface is a revolutionary device that holds the potential to overcome paralysis, by returning mobility and independence to patients affected by various conditions. To that end, the researchers are already looking forth to the first in-human trial that is expected to commence from 2017. As per the current plan, the participants will be chosen from the Austin Health Victorian Spinal Cord Unit. And since we brought up a (would be) real-time scenario that relates to this application, the device can be potentially used for treating not only spinal cord injuries but also epilepsy, Parkinson’s disease and other neurological disorders. The study was originally published in Nature Biotechnology. Source: ScienceDaily / Image Credits: The University of Melbourne.